Four things Paul tells us about the way the Macedonian’s gave. Joyfully, sacrificially, enthusiastically and unconditionally. “Out of the most severe trial, their overflowing joy…” (2 Cor. 8:2). They were joyful because they were grateful. They gave joyfully. Paul is careful to show that it was not because of their prosperity or wealth that the Christians in Macedonia gave so generously. Just the reverse…. Paul says “out of the most severe trial… they gave”. They gave joyfully and sacrificially. “And they did not do as we expected, but they gave themselves first to the Lord and then to us in keeping with God’s will. There is a kind of giving which is actually unspiritual because it has ulterior motives. It goes something like this. “Our company is happy to support your charity as long as you use our logo prominently. We call it sponsorship and everybody does it, but Jesus condemned such giving. Jesus said if you want your reward in heaven give in secret. Spiritual giving is secret giving. They gave joyfully, sacrificially, enthusiastically and unconditionally. Why? Because Christian giving is energized by the grace of God. The sincerity of their love was put to the test not so much by comparison with others but ultimately by comparison with Christ. “Though he was rich, yet for your sakes he became poor”. That is the ultimate grace of Giving. The unmerited, unwarranted, undeserved sacrifice, of the Lord Jesus in our place. With great tact, the apostle offers his advice to a church that had failed to keep a promise. They had made a pledge and reneged. They had asked for but mislaid their bankers order forms. They had raised their hands and pledged to give, but weeks had gone by and they had forgotten about it. How easy it is for delay to endanger the integrity in giving. There is a great difference between promise and performance. The Corinthians had boasted to Titus a year before that they would share in the special collection (2 Cor. 8:6), but they did not keep their promise. Paul emphasizes here the need for integrity. Grace giving must come from a willing heart; it cannot be coerced or forced. Paul teaches us that integrity before God is imperative. It is right to make promises to God. It is proper to make pledges to the Lord’s work because by so doing we not only show our trust in God, but we also enable the Church to plan ahead. That is why we encourage you to give by bankers order regularly and consistently. Making a pledge is very significant because it is as much an act of the will as a signature on the page. If you are tempted to think “I cannot make a promise to give because I don’t know what my future circumstances will be”. Then remember that we live on the principle of pledging every day of our lives. We use electricity on the basis of a pledge to pay up after three months. We do the same with gas, the telephone, eating a restaurant meal or taking a taxi ride, and we think nothing of it. Then why not plan our giving in the same way, and trust God with the unforeseen sickness, or the circumstances outside our control. So, God honours integrity in giving. 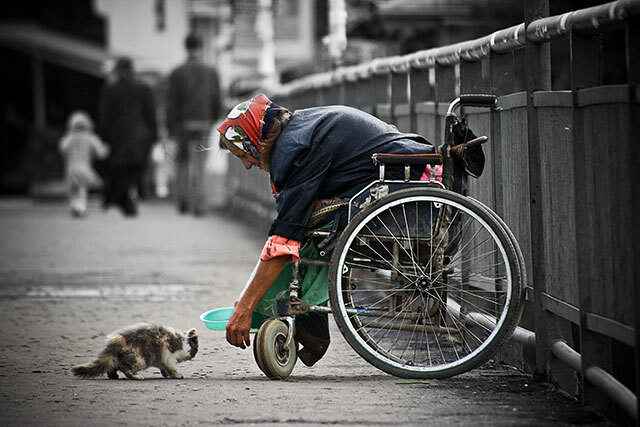 Today we may have the privilege of giving, tomorrow we may have the equal privilege of receiving. Equality in giving teaches that the rich are not expected to bear all the load, and the poor are not excused from responsibility. God blesses us when we give with integrity, when we give according to ability, when we give longing to bring equality, for this reflects our unity in the Spirit. To follow these principles is to please God and to experience His blessing. To ignore them is to break God’s heart and hinder his purposes. When the British Government sought to reward General Gordon for his brilliant service in China, he declined all money and titles but accepted a gold medal inscribed with the record of his thirty three engagements. It became his most prized possession. But after his death, a search failed to find the medal. Later it was discovered that he had donated it to an appeal in Manchester during a severe famine in the area, with the instruction that it be melted down and the money used to buy food for the poor. In his diary on the day he sent the medal are written these words. “The last earthly thing I had in this world that I valued I have given to the Lord Jesus Christ”. Maybe there are things we need to melt down for the Lord. Charles Wesley wrote 9000 poems, or which 6500 were used as hymns, but he once said that he would gladly have exchanged them all for the privilege of writing just one hymn. “When I survey the wondrous cross on which the prince of glory died, My richest gain I count but loss, and pour contempt on all my pride. Were the whole realm of nature mine, that were an offering far too small, Love so amazing, so divine, demands my soul, my life, my all.” Lets Pray. This entry was posted in Bible, Sermons, Theology on June 11, 2016 by Stephen Sizer.